Norma Eunice DeVries Salvesen, our loving Mom, Grandma, and Great-Grandma passed away peacefully from this life at the age of 83 on February 1, 2019 at the Legacy House in Logan, Utah. Norma was born July 31, 1935 in Marriott, Utah to Fern Slater and Sjoerd (Sam) DeVries the second of five children. Mom grew up in a loving home located in Slaterville, Utah. She had a big family with lots of cousins that became dear friends throughout her adult life. Love isn’t a big enough word to describe how she felt about her Slaterville family and extended family. Her father and mother were farmers. This experience taught her hard work at an early age. As a result, she kept a large garden and had beautiful flower beds. Even as mom’s mind slipped away she could always recall happy memories of her early family life. On August 8, 1963 she married the love of her life, Lyman Salvesen in the Salt Lake City Temple. With this union came 2 sons, Stanley Salvesen (Deanna) and Kenneth Salvesen (Marilee), whom she loved as her own. Norma and Lyman were blessed with four more children, Tracy Salvesen (Debbie), Angie Hemmert (Thom), Jennifer Anderson (Clair), and Denise Salvesen. She and her family resided in Hyrum, Utah. Mom received her Associates from Weber College in Ogden, Utah and her Bachelors in Child Development and Elementary Education from Utah State University in Logan, Utah. She taught for Ogden City and Cache County School Districts and made a difference in many students’ lives. We couldn’t go anywhere in town without a former students stopping us to say hi to mom. Mom loved it when this would happen and could share an experience she had with each student. Even the troublemaker students. You know who you are. Mom loved you. 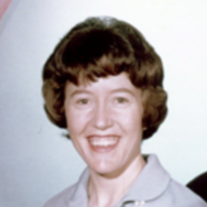 Mom was a faithful member of The Church of Jesus Christ of Latter Saints and served in many callings from Young Women’s President to Stake Relief Society President. After her husband’s death she served a mission in Wellington, New Zealand. She was the best grandma ever. Her grandchildren each felt that they were the most important person in grandma’s life. She was preceded in passing by her husband Lyman Salvesen, and daughter Denise Salvesen. She is survived by her brothers, K. Lawrence DeVries (Kay), Robert DeVries (Vickie), Ross DeVries (Judy), and a sister, Ilene Rollo (Verl), her 5 children and their spouses, her grandchildren Sheri, Malissa, Rick, Courtney, Cori (Jeremy) , Haylee, Brayden, Tyler, Tia, Abby, Jacob, and Grayson, and 4 great grandchildren. Funeral Services will be Friday, February 8th, 2019 at the Hyrum 15th Ward Church house, 455 East 100 South Hyrum, Utah at 11:00 a.m. Viewings will be held Thursday, February 7th, 2019 from 6 to 8 p.m. at Nelson Funeral Home 162 East 400 North, Logan, Utah and Friday from 9:00 – 10:30 a.m. at the Hyrum Church house. Interment will be in in the Hyrum, Utah Cemetery. Our family would like to share a heartfelt thanks to the staff at Legacy House of Logan and IHC hospice for the great care they gave to mom. Lastly thank you to her kind neighbors and friends who kept a compassionate eye on her particularly after dad died. We love and appreciate you all.